The production duo of Stu Bangas & Vanderslice first came together to produce the now-acclaimed Blaq Poet Society with MC Blaq Poet. In the process, they joined forces with indie label Man Bites Dog Records, and are now prepping their latest project, Diggaz With Attitude. 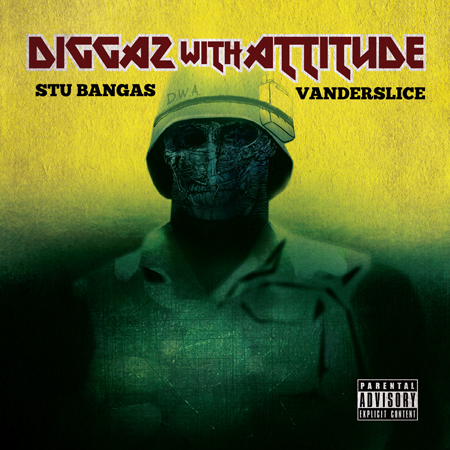 Individually, Stu & Vander have produced for many underground favs, including Sean Price, Apathy, Vinnie Paz, Ill Bill, Copywrite, andHeltah Skeltah. For DWA, they enlisted a number of those same artists, along with Roc Marciano, The Alchemist, Evidence, and more. Diggaz With Attitude will be releasedAugust 28th via Man Bites Dog Records.